Feed additive. 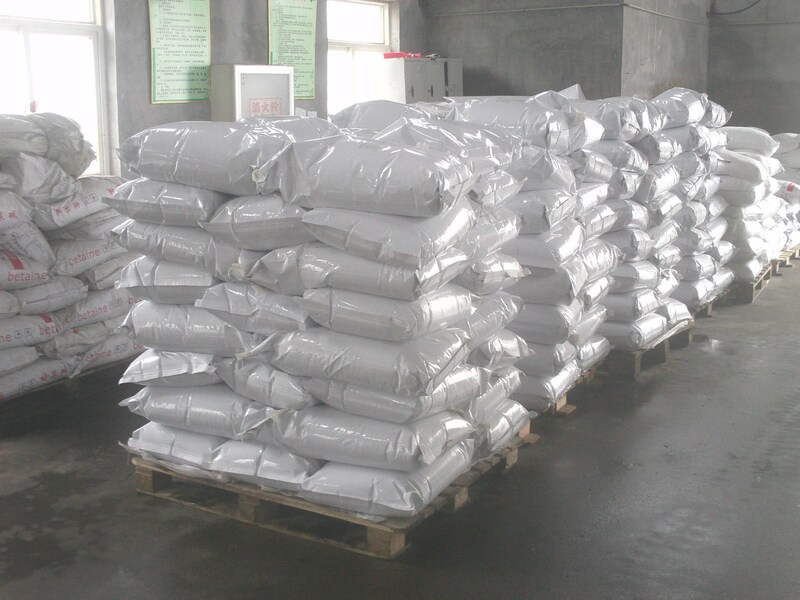 Trimethylamine oxide ( Tmao ) is a kind of compatible osmolyte that commonly occurs in tissues of marine organisms. It has special delicious taste and its structure is similar to Betaine . 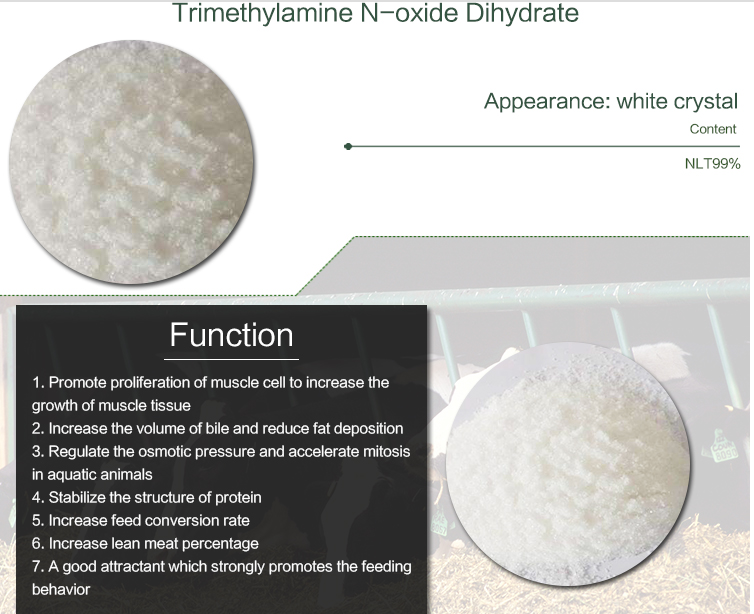 It can increase lean meat percentage and reduce fat deposition when applied in livestock and poultry. 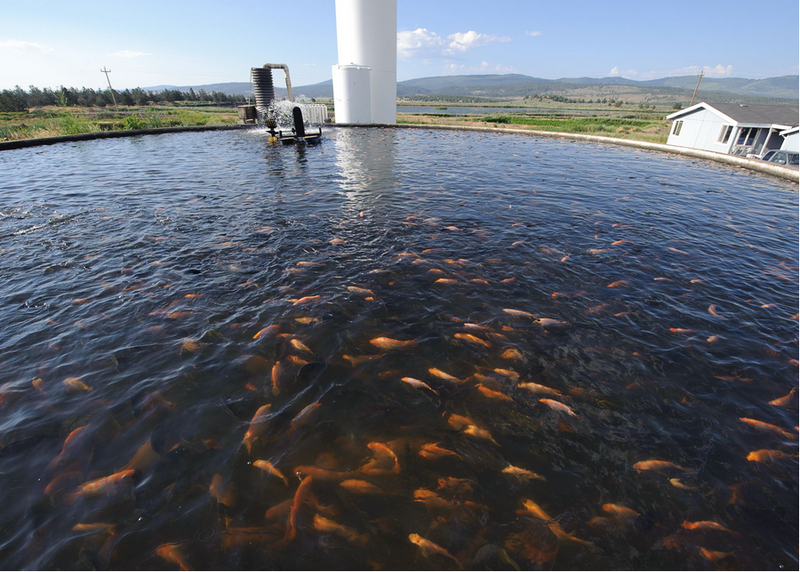 TMAO can regulate the osmotic pressure, and accelerate mitosis in aquatic animals. It is also a good attractant which strongly promotes the feeding behavior; moreover, fish meat will become muscular and more delicious, abdominal fat will be reduced. 1.lTMAO has weak oxidability, so it should be avoided to contact with other Feed Additives with reducibility. It may also consume certain antioxidant. Looking for ideal Feed Grade Tmao Manufacturer & supplier ? We have a wide selection at great prices to help you get creative. 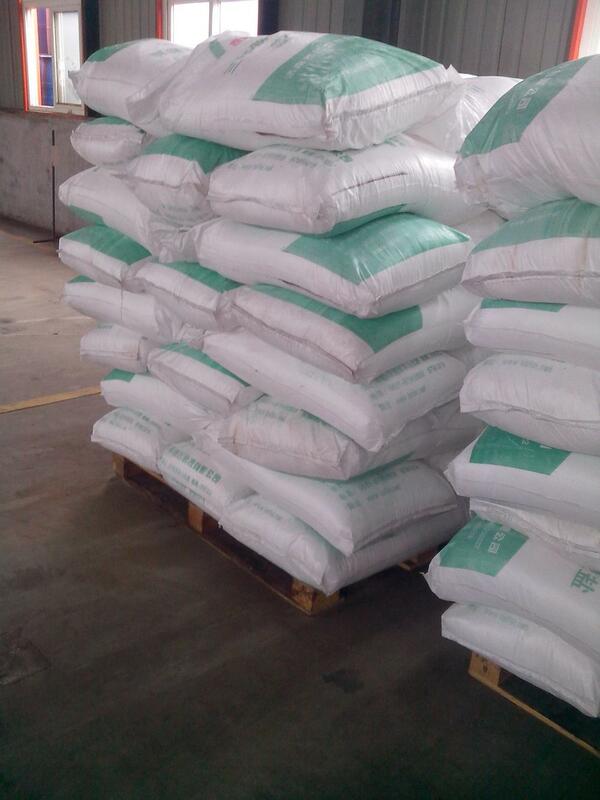 All the Buy Trimethylamine N-oxide Dihydrate are quality guaranteed. We are China Origin Factory of TMAO CAS No 62637-93-8. If you have any question, please feel free to contact us.